January | 2014 | Bobcats Blog! The importance of ongoing and effective teamwork between parents and educators cannot be understated. Children thrive in an environment where the adults in their lives understand them and work in concert to support their growth and development. While there are many ways for parents and teachers to establish and maintain effective lines of communication, the Natick Public Schools also formalizes basic communication structures to ensure that parents and families understand the progress their children are making in school. One of our major mechanisms is the Report on Student Progress (referred to as the ROSP). The ROSP is basically what you and I know as a report card. It is issued twice annually; it is released at the end of January and on the last day of school. Some families find that the ROSP appears very different from traditional report cards that most adults received as children. When we were in school, many of us grew accustomed to receiving a subject-by-subject report with a letter grade attached. Some report cards included narrative comments from the teachers while others contained subjective ratings of behavior and study skills. Standards based report cards were developed and structured as a way to provide parents and families with more comprehensive information about a student’s progress. Like traditional report cards, the ROSP attempts to provide families with feedback about a student’s academic performance. What separates the ROSP from traditional report cards, however, is the level of specificity with which it provides families with information about a student’s progress towards attaining and mastering key grade level learning standards. The standards represented on the reports reflect Massachusetts State learning standards. There are two major differences between standards based reports and traditional report cards. The first is the overall structure of the report and the second is the way in which the student’s progress is rated and reported to families. These ratings differ from traditional report cards which presented a student’s progress in terms of letter grades, reflecting a student’s overall performance on tests, quizzes, class assignments, homework assignments, etc. While letter grades certainly gave parents and families an idea about the extent to which the child was succeeding in the class, they failed to provide specific information about performance in content areas and ways in which support could be provided at home. 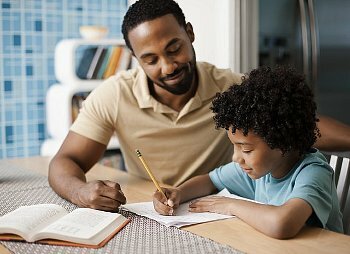 Standards-based ratings make it easier for parents and families to understand their child’s strengths and to see where their child could use more support. The specificity of this feedback allows parents and families to clearly identify standards in which students have achieved mastery and target areas for growth. Thus a child who “meets grade level expectations” demonstrating a proficiency score of 3 on the following standard, identifying 2D and 3D shapes, has a solid understanding of the concept. The same child may be “progressing towards grade level standards” demonstrating a proficiency score of 2 on the following standard, knowing and applying addition and subtraction facts to 10, should continue to work towards achieving this grave level standard. Some variability in performance ratings is typical, as children grow and develop. But knowing your child’s areas for growth is just as important as knowing your child’s strengths. In the weeks to come, we will provide parents and families with more information about how to interpret the ROSP and suggest ideas for engaging your child in a meaningful conversation about his/her growth. Stay tuned!